Akirudai Park is located in almost the very center of the Akiru Plateau, which itself is located between two tributaries of the Tama-gawa River: Aki-gawa River and Hirai-gawa River. The park is blessed with a rich natural environment, with Akigawa Hill and Takiyama Hill visible south of the Aki-gawa River, Hamura Flower Hill Nature Park visible north of the Hirai-gawa River, and the Okutama mountain range visible to the south. The park also contains an all-weather track course, and together with athletic facilities in the neighboring city of Akiruno it is a hub for sports activities in the Nishitama region. 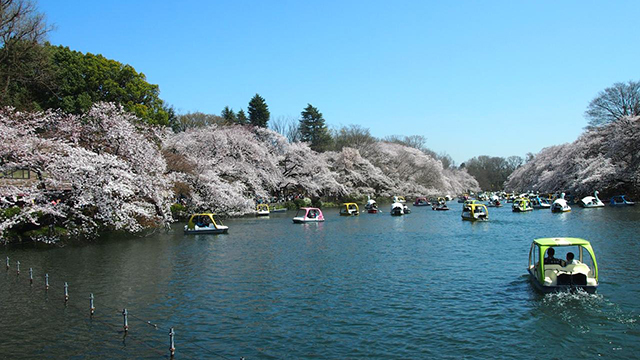 Inokashira Park was opened in 1917, as Japan's first suburban park. 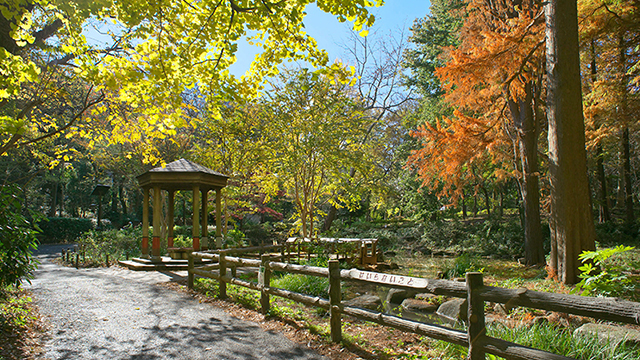 There is Inokashira pond in the park, and this area serves as a precious green space for the adjacent residential area. The third Tokugawa shogun, Iemitsu, is said to have given Inokashira Pond its name. The name is said to mean either "source of the water supply" or "well that supplies the most delicious water". 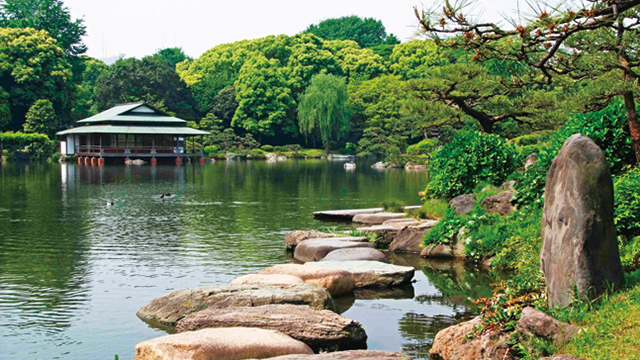 The Inokashira Pond was the source of the first water service for the city of Edo, the Kanda water supply. The water for this pond was used as drinking water until an improved water supply was completed in 1898. 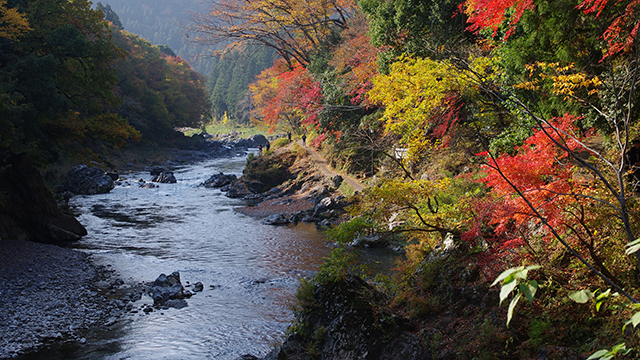 The landscape is rich in variety, with the lowlands around Inokashira Pond and the highlands of Gotenyama. 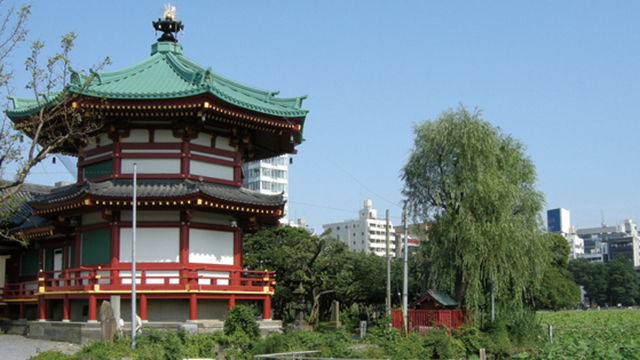 Ueno Park was designated as the first park in Japan in 1873. During the Edo period, this area was the grounds of Toeizan Kanei-ji Temple. After the Meiji Restoration, the land became government property. It was eventually given to Tokyo City in 1924 by the Imperial Household Ministry. 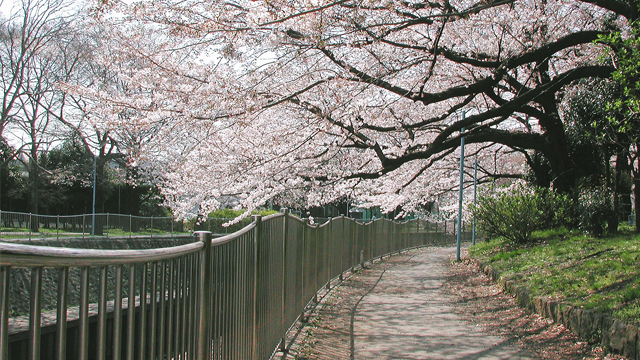 It is known for its cherry blossoms. There are about 800 cherry blossom trees in the park itself. Combined with a nearby zoo, Kanei-ji Kiyomizu Temple and Toshogu Shrine, there are about 1,200 cherry blossom trees in total. There are facilities, including zoo, museums and art galleries. Due to the cultural atmosphere, this park is loved by Tokyoites. Kasai Rinkai Park, which is made up of five distinct zones, was formed under the themes of greenery, water, and people coming together at the great blue Tokyo Bay under the wide open sky. 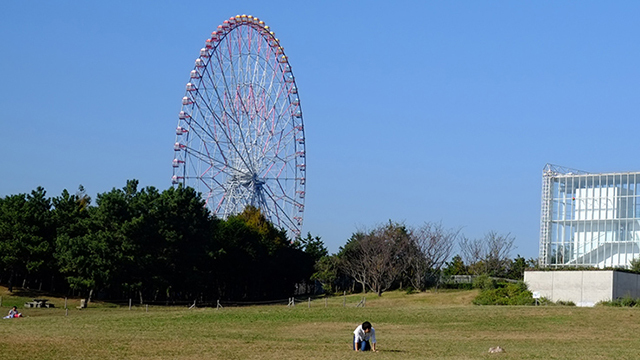 There are attractions such as the largest Ferris wheel called "Diamonds and flowers", "Barbecue Square" (reservation only), "Crystal View" observatory rest house, "Tokyo Sea Life Park", and "Bird Watching Center". You can enjoy gathering shellfish in the "Nishi Nagisa" artificial tidal flat adjacent to Kasai Rinkai Park. 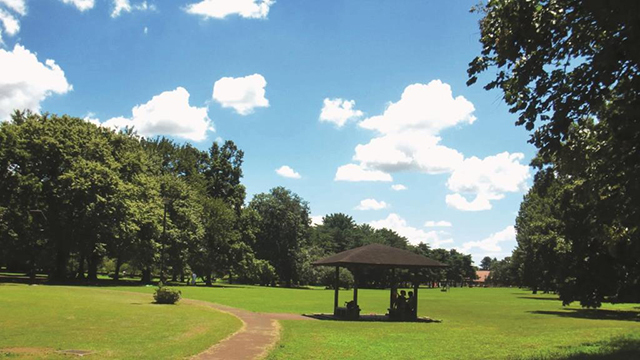 Kinuta Park is a Family park comprised of spacious lawns and forests in addition to containing exercise facilities, athletic field, and similar. When the weather is good on a weekend or holiday, the family park is bustling with running children and families eating picnic lunches. 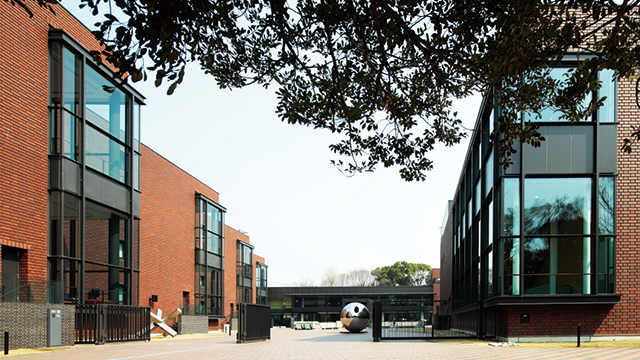 In addition, Setagaya Art Museum is located on the north side of the park. 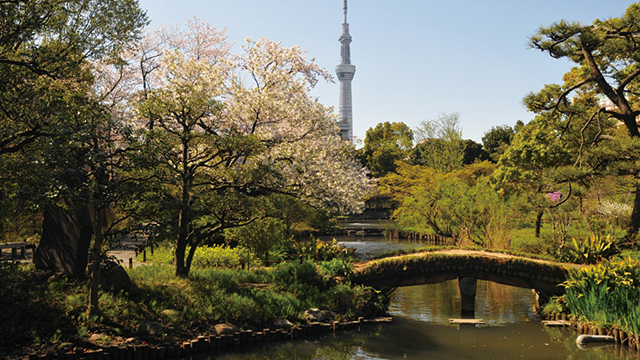 Kiba Park is divided by Kasaibashi Street and the Sendaibori-gawa River into three sections—south, central, and north. All of these sections are connected by the Kiba-Koen Ohashi Bridge, which serves to symbolize the park. The south section contains an expansive open space, a barbecue area, and Urban greening botanical garden, which is an exhibition garden for various plants. The north section contains an event plaza, a tennis court, and the Museum of Contemporary Art Tokyo. Koganei Park is a large 80-hectare park located along the Tamagawa Aqueduct. The park contains an expansive meadow surrounded by groves of mixed trees, a cherry tree garden, children’s field, SL(C57) steam locomotive display, Japanese archery range, tennis courts, and other facilities. 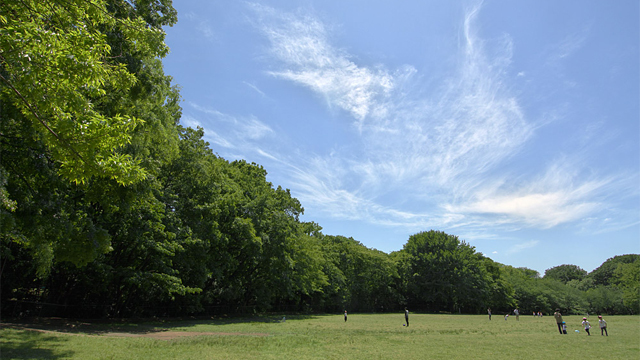 The open meadow takes great advantage of the gently undulating slopes of the Musashino terrace and is beloved as a place of relaxation and enjoyment for picnics, children’s play, leisurely walks, jogging, and other activities. Komazawa Olympic Park was the second site at which the Tokyo Olympics were held and was host to wrestling, volleyball, and other competitions. Opened to the public as a park after the end of the games, it is beloved as a sports park that harmoniously combines greenery and numerous sports facilities. 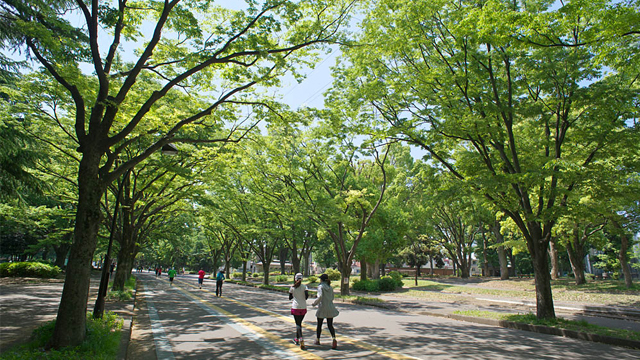 A jogging and cycling course runs the perimeter of the park and is popular throughout the year, allowing visitors to run under the shade of the trees and enjoy the seasonal weather. 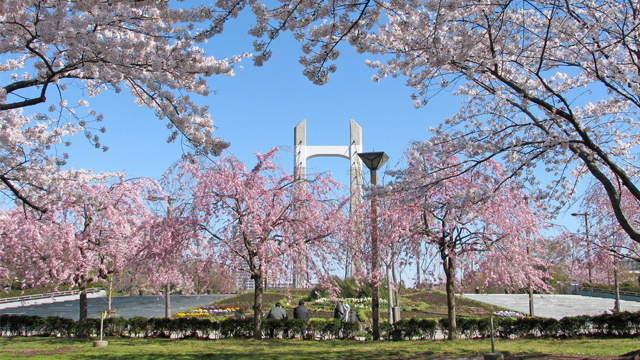 Shioiri Park is a city park located along Sumida-gawa River that was originally constructed as part of the Western Shirahige Urban Redevelopment Project. Doubling as an refuge site capable of holding 120,000 in an emergency, the park in normal times is a carefree multipurpose open space equipped with barbecue and picnic field, tennis courts, and mixed playground complexes. The east side of the park was built in an integrated manner with the super levee on the Sumida-gawa River, creating a comfortable urban environment with a waterside view. Shiokaze Park is the largest park in the Tokyo waterfront area. 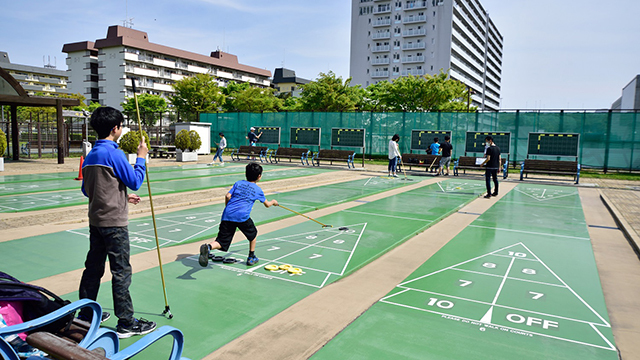 There are several noteworthy facilities, which include a barbecue area that you don't need to bring anything with you to use, and Shiokaze-maru ship, which is ship-shaped playground equipment. The park is adjacent to the Odaiba Seaside Park, which is a leading tourist spot in Japan. You can also enjoy the beautiful scenery of Tokyo Bay with the Rainbow Bridge in the background. In particular, the evening and night views are strikingly beautiful and soothing.Shiokaze Park is the largest park in the Tokyo waterfront area. There are several noteworthy facilities, which include a barbecue area that you don't need to bring anything with you to use, and Shiokaze-maru ship, which is ship-shaped playground equipment. The park is adjacent to the Odaiba Seaside Park, which is a leading tourist spot in Japan.You can also enjoy the beautiful scenery of Tokyo Bay with the Rainbow Bridge in the background. In particular, the evening and night views are strikingly beautiful and soothing. Located to the west of the embankment on the Edo-gawa River, Shinozaki Park is a valuable piece of green space in eastern Tokyo, an area lacking in greenery. 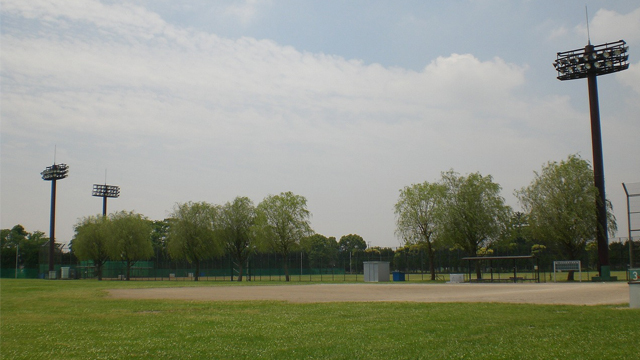 Visitors can enjoy sports activities at the park’s baseball fields, multipurpose stadiums, tennis courts, and other athletic facilities in addition to the grassy meadows. The north side of the park contains barbecue picnic sites and is great for families. Located on the undulating terrain along the Shakujii-gawa River, Johoku-Chuo Park is the largest athletic park in the northern part of Metropolitan Tokyo (the 23 wards), equipped with baseball fields, stadiums, and other facilities. Here in the midst of the beautiful green trees, one can enjoy sports and leisurely strolls to one’s heart’s content. The park also contains Tokyo Metropolis-designated historical sites including the Paleolithic Muro ruins and the Kurihara ruins, a complex site with history tracing back from the Heian period to the Paleolithic period. 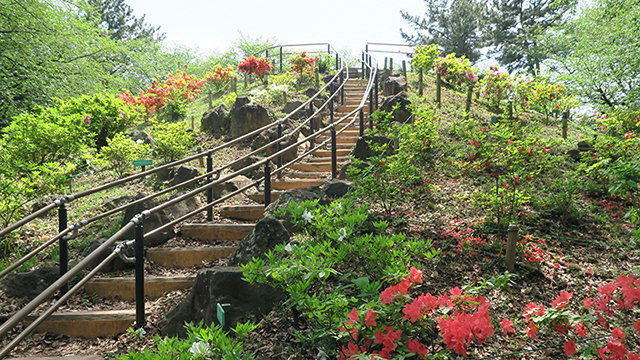 Reminiscent of the historical Musashino region, Jindai Botanical Gardens offers visitors a variety of beautiful plants and flowers to enjoy throughout the four seasons of the year. 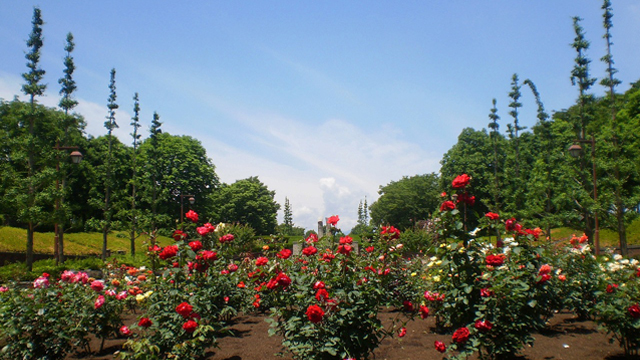 The gardens are divided into thirty blocks by plant type, including a rose garden, azalea garden, plum blossom garden, and Japanese clover garden, enabling visitors to learn about the plants while they enjoy the scenery. 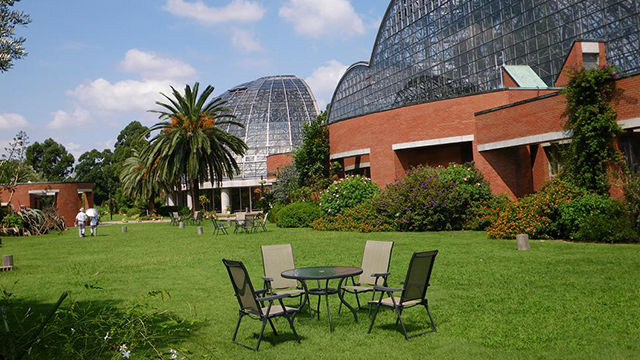 The gardens’ large greenhouse, which underwent renovation and reopened in May 2016, contains a collection of rare tropical plants with brilliantly colored flowers to enjoy. Zenpukuji-gawa River, with its source in Zenpukuji-ike Lake, snakes throughout Suginami City. 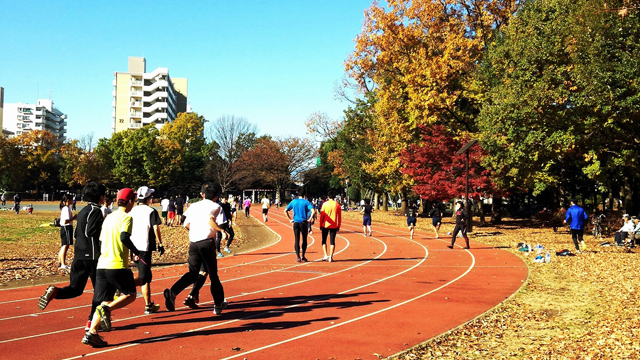 Running along the riverside are Zenpukuji-ryokuchi Park and Wadabori Park. These two long belt-shaped parks total 4.2 km in length, connected by a promenade dotted with children’s play areas and tree groves reminiscent of the old historical Musashino region. From the cherry blossoms of spring to the leaves of autumn, these parks are ideal for enjoying the changes of the four seasons. 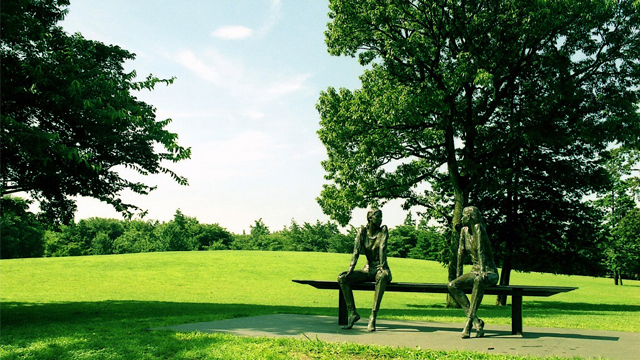 Though located in Tokyo, Toneri Park offers a wide-open sky and rich nature for visitors to enjoy. The west side of the park contains athletic facilities such as track grounds and tennis courts, while the northeast side contains a sled-racing slope and various open spaces around a pond and streams. These areas are beloved by the park’s many visitors. Other sites to see in the park include the “Reagan Cherry Tree,” returned to Japan as a symbol of U.S.-Japanese goodwill, and many other cherry trees planted through donation by Tokyo residents. 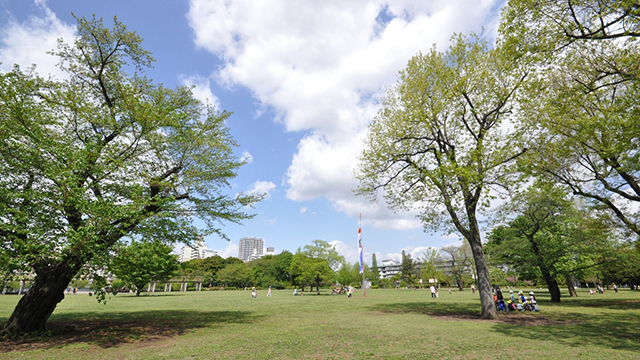 Higashi-Shirahige Park is a long, thin park full of greenery and recreation that runs north-south along the Sumida-gawa River at the northernmost portion of Sumida City. 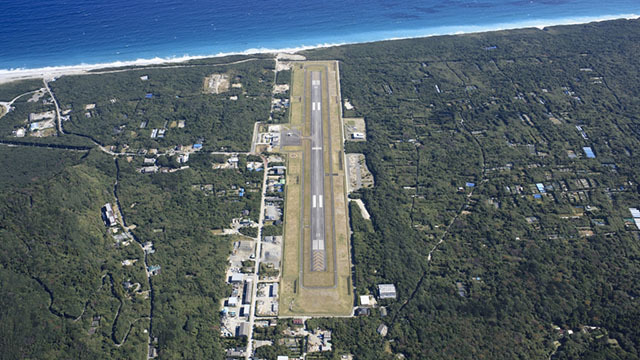 The entire area of the park is designated a “disaster prevention center” in the Basic Plan for Koto Redevelopment, and it can accommodate approximately 80,000 people in emergencies in its role as a refuge site. On the east side of the park is a 13-story Tokyo public housing complex that also serves as a “disaster prevention complex”. Still rich with the natural scenery of the historical Musashino, Higashimurayama-Chuo Park was created with the aim of conserving and restoring this greenery. Built around the forests at the east and west sides of the park are a bird sanctuary, streams, gateball fields, a shallow snail pond(splashing pond) , and other sites. The park is also located next to the Sayama-Sakairyokudo Road and serves as an oasis for cyclers. Higashiyamato-Minami Park is an athletic park partially built on the site of Yamato Base, an American military base. The park contains an old transformer substation for the defunct Hitachi Aircraft Company’s Tachikawa plant, and this substation is considered a valued cultural asset by Higashi Yamato City. Visitors can also enjoy the fresh greenery of 120 varieties of trees and shrubs as well as their flowers, fruit, and autumn leaves. 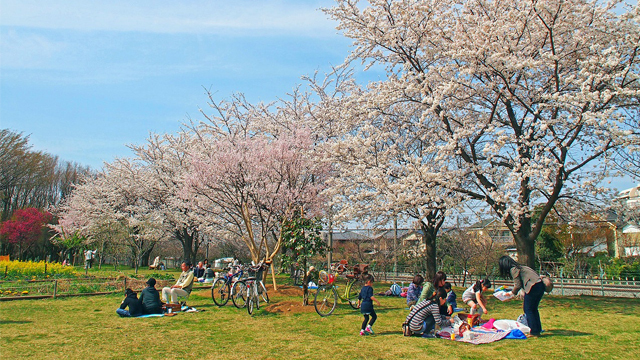 In the center of Hikarigaoka Park is an expansive 6-hectare lawn dotted with cherry blossoms and Japanese zelkova. The lawn forms a gentle hill, on which the trees providing adequate shade for napping or reading. The east side of the park is replete with sports facilities including baseball fields and archery grounds. With barbecue picnic sites and outdoor obstacle courses, the park is bustling with visitors on weekends and holidays. This area was the location of the estate of Matsudaira Hizen-no-kami and others up until the fall of the shogunate, and was a military parade ground throughout the Meiji period. 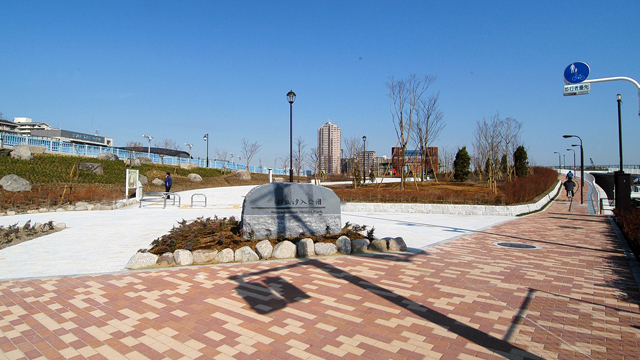 It was later planned, designed, and developed as an urban park, becoming Japan's first modern, western-style park. The park celebrated its 110th anniversary in 2013. The enthusiasm of the park designers, who were cultural pioneers, can be seen in the large and small outdoor music halls and public hall. The park's flower beds bloom with colorful seasonal flowers throughout the entire year, making the park a place of relaxation for people working in the nearby business district. 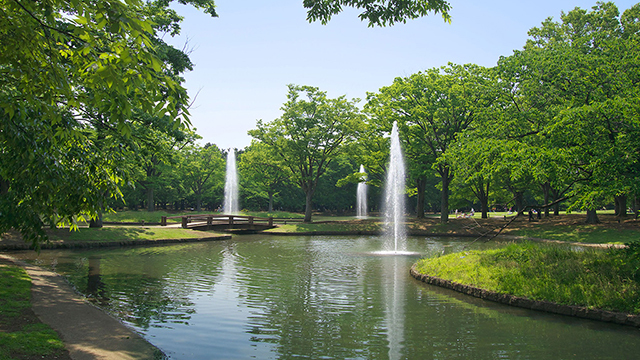 Enveloped in the greenery of Musashino, Fuchunomori Park was partially built on the site of Fuchu Military Base. Tennis courts, soccer fields, and other athletic facilities are nestled in compactly with green meadows and children’s playgrounds. Visitors can enjoy sports, family strolls, and other types of recreation here. Built along the Koaidame flood control basin, Mizumoto Park is the only park in Tokyo with riverside scenery. This area was officially designated the Metropolitan Edogawa Suigo Park until 1975. The large and small canals extending out from Koaidame run throughout the park to create scenic riverside views. 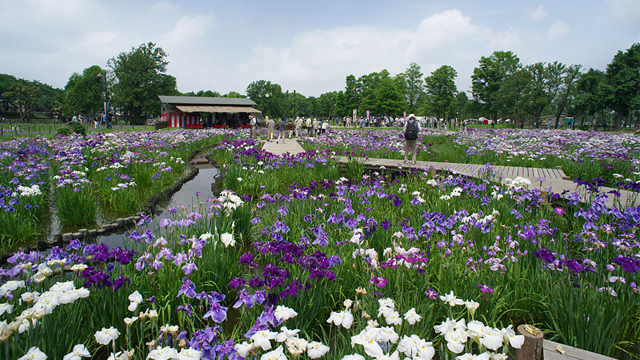 Rows of poplars, Metasequoia forest, Japanese alders, and other trees well-adapted to the waterside are grown in the park, and visitors can also see many aquatic plants including Japanese irises, water lilies, and cow lilies. 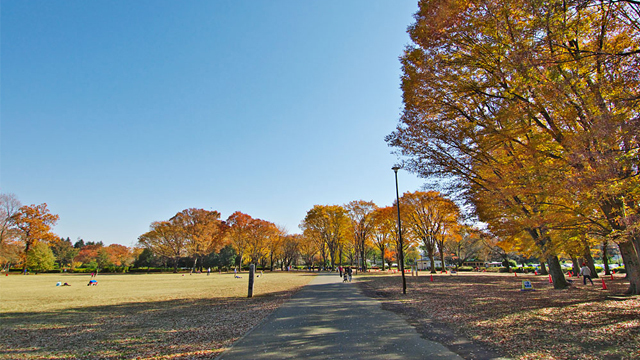 Musashino-Chuo Park is located in the eastern part of the Tama region. Before the war, the park was home to the Nakajima Aircraft Plant, a major munitions factory. The area was used as a housing lot for American troops for a time after the war until, upon the request of local residents, it was converted into a park. Based around a large Grassy field and Sports field, the park offers all manner of recreation amidst the refreshing air and the shining sun as visitors enjoy the feel of the four seasons changing around them. This is a park where you can enjoy the beautiful scenery surrounded by the lush forests of Musashino. From the "Furusato hill", where there are stones from each prefecture, you can look out onto Chofu Airport, you can also see skycrapers in Shinjuku on a clear and sunny day. This 43-hectare comprehensive park was built on reclaimed lands and is surrounded by canals and waterways. The park looks like an urban dream island where lots of seasonal flowers can be seen throughout the year. There are several facilities, including a tropical greenhouse dome and a barbecue square which faces the marina. There's also the "Daigo Fukuryu Maru Exhibit Hall", where a tuna fishing boat damaged by hydrogen bomb tests at Bikini Atoll is displayed. The site of Yoyogi Park was once a military parade ground. After the war, it was used as a US military dormitory ground, and then as the Olympic village for the 1964 Tokyo Olympics before being opened as a park. 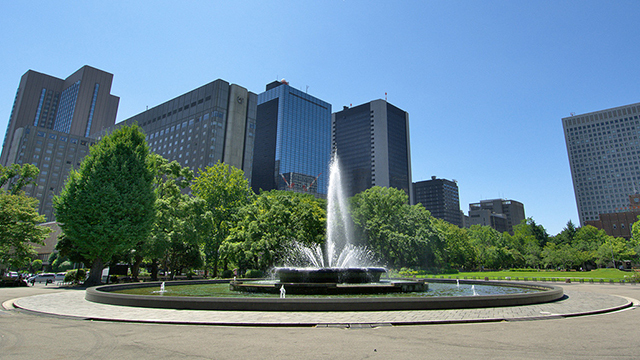 Yoyogi Park is the fifth largest urban park in the 23 wards of Tokyo. It is separated by a road into two sections: Section A, containing a forest park, and Section B, with a stadium, outdoor stage, and other facilities. There are also other facilities, including cycling courses and a bird sanctuary. 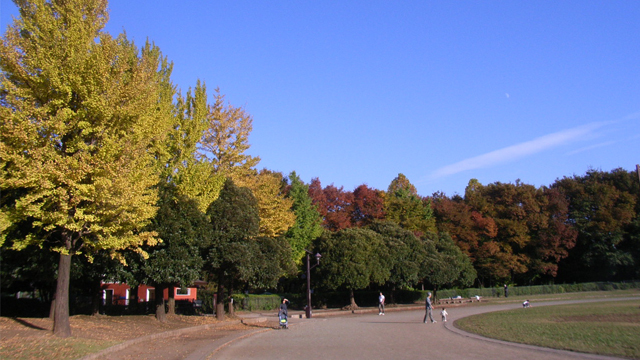 Shiba Park is one of Japan’s oldest parks. In 1873, a Daijo-kan proclamation deemed five locations in Ueno, Asakusa, Fukagawa, Asukayama, and Shiba to be Japan’s first parks, and these were the pioneers of subsequent park development. Shiba Park was initially a large park that contained the grounds of Zojo-ji Temple, but the temple grounds were removed from the park in order to separate church and state after the Second World War, creating the ring-shaped park of today. 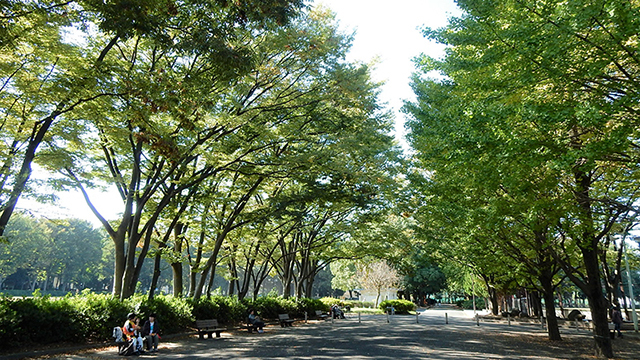 As is befitting of an old park with a long history, there are large trees here and there such as Camphor trees, Japanese zelkova, and Ginkgo biloba. 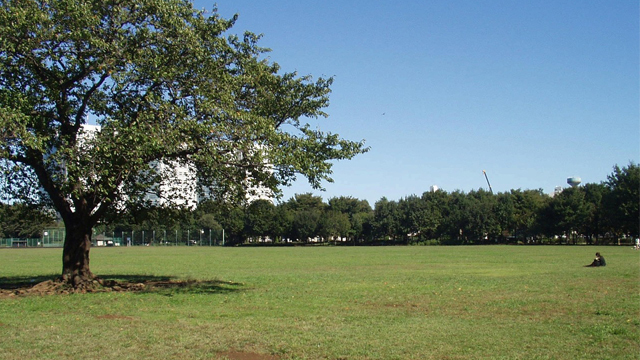 Additionally, Shiba Park today contains a baseball field and tennis courts, but in 1902 it was equipped with exercise equipment and thereby became the first of Tokyo’s parks to have athletic facilities. Yokoamicho Park contains the Tokyo Memorial Hall and the Great Kanto Earthquake Memorial Museum , both of which speak to the park’s history. In 1922, with the relocation of the army clothing depot, the city bought the grounds and developed them into a park. Just as that work was underway, the city was struck by the Great Kanto Earthquake on September 1, 1923. When the earthquake hit, people in the vicinity took refuge in the clothing depot, but the fires spread to the household furniture and belongings they had brought along, causing many deaths. 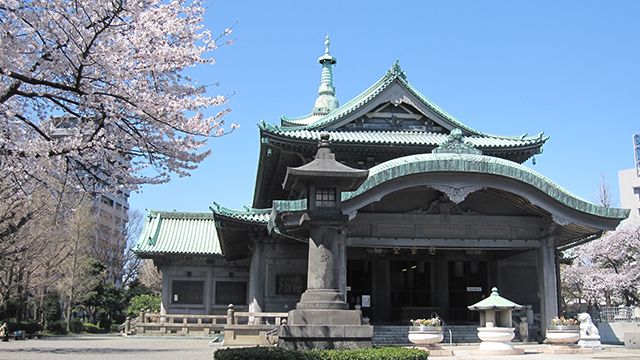 The Earthquake Memorial Hall (today the Tokyo Memorial Hall) and the Great Kanto Earthquake Memorial Museum were built in the park to memorialize the victims and commemorate the major project to reconstruct and restore Tokyo. The crypt inside Tokyo Memorial Hall holds the remains of the earthquake's victims, and since the end of the Second World War it has also held the remains of ordinary citizens who were victims of the Great Tokyo Air Raid and similar attacks. Rinshi-no-Mori Park was established as “Meguro Experimental Nursery” in June 1900 by the Ministry of Agriculture and Commerce’s Forestry Management Bureau. The nursery was then later renamed to the “Forestry Research Station,” fell under the jurisdiction of the Forestry Agency, and was heavily used through 1978. With the establishment of Tsukuba Science City, the station was relocated and the site developed into what was temporarily opened to the public as “Meguro Park.” On June 1, 1989, the park was transformed into Rinshi-no-Mori Park and opened again. The park is long and thin, running 700 meters east-west and 250 meters north-south. One cycle around the path running the park’s outer perimeter can be completed in 45 minutes. Roka Koshun-en Park was built on the site of the former home and garden, as well as the husband-wife gravesites and surrounding former residential property, of literary master Roka Tokutomi (penname of Kenjiro Tokutomi). Roka was a literary master of the Showa and Taisho periods famous for his works including Hototogisu (“The Cuckoo”), Shizen to jinsei (“Nature and Man”), and Mimizu no tawagoto (“Gibberish of an Earthworm”). Roka lived at the home with his wife Aiko for the latter half of his life. After his death, the city bought the land and established Roka Koshun-en Park. Roka lived in a rented house in Tokyo’s Aoyama-Takagicho until February 1907. In order to live a life closer to Mother Earth, however, he sought a house and land in Kasuya in the village of Chitose, which at the time was still remote countryside. He called it “Koshun-en,” and for the approximately 20 years until his death on September 18, 1927, he lived a life of working outside in fine weather and reading at home in rainy weather. 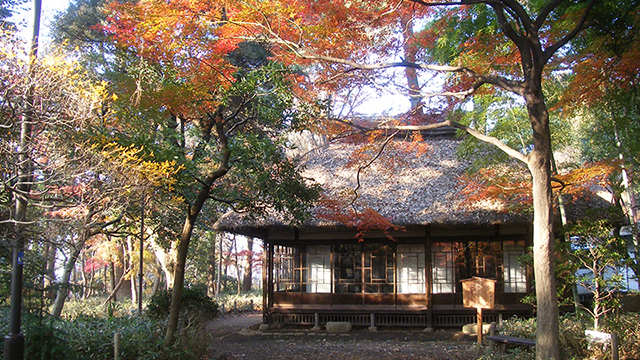 In the Koshun-en area, where Roka lived his bucolic life of working outside in fine weather and reading at home in rainy weather, visitors can see how he spent his active writing days and other aspects of his life long ago. Akatsuka Park runs east-west along the Takashimadaira apartments and Metropolitan Expressway No. 5. The park is full of variety, containing virgin forests and the promenades running through them, open spaces, athletics facilities, and more. This park was to be developed as “Akatsuka Ryokuchi Green Space” as per the 1943 city plan, but this was never realized due to the war. 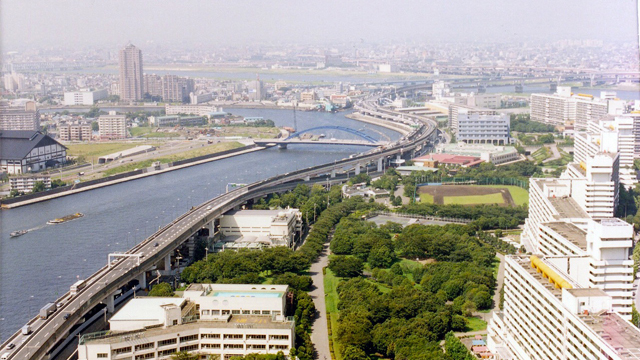 Later, Tokyo acquired the land through the 1972 land readjustment program and the park was opened in 1974. 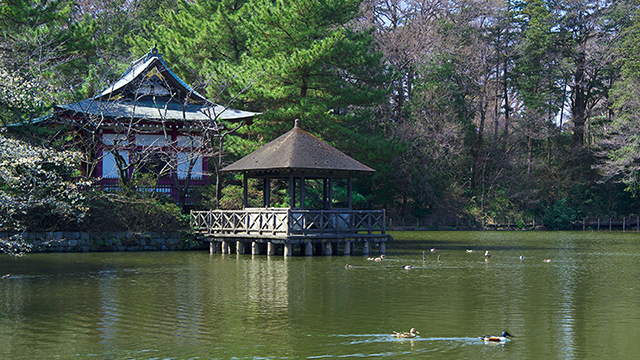 Shakujii Park is built around two ponds, Sanpo-ji Pond and Shakujii Pond. The interior of the park features undulating terrain with the natural features of Musashino remaining well-preserved. In addition to the tranquil Sanpo-ji Pond surrounded by trees and Shakujii Pond humming with boats, there is also the site of Shakujii Castle and several related ruins. Additionally, the surrounding area that includes the park has been designated as a scenic zone to preserve its environment and scenery. Located on the border between Tokyo and Saitama Prefecture, Oizumi Central Park was once part of the grounds of the former Imperial Japanese Army Academy. After the Second World War, the American armed forces seized the grounds and converted the area into Camp Drake, and the area that is now a park was used as a golf course. After the grounds were returned, a planned area of approximately 10 ha was developed into a park that was opened to the public on June 1990. The park includes the Mizu-no-Hiroba plaza, a fountain pond, a Musashino virgin forest, an open grassy lawn, playground equipment, and an expansive sand box. There are also track-and-field athletic grounds and a baseball field in the park. Oizumi Central Park is beloved as a safe and comfortable area for recreation by everyone from children to senior citizens. 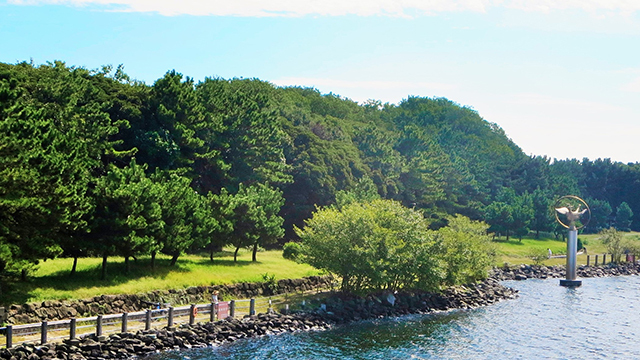 Nogawa Park is rich with rustic beauty and contains plentiful water and greenery. Before it was a park, this area served as a golf course for International Christian University. In 1974, the city purchased the golf course and, under the “Musashino Forest Initiative,” began to develop the surrounding green spaces including Jindai Botanical Gardens, Musashino Park, Tama Cemetery, Chofu Airport, Sengenyama Park, and Fuchunomori Park. Nogawa Park was opened to the public in June 1980. Nogawa Park spans across the three cities of Chofu, Koganei, and Mitaka, split into three sections by the Nogawa River and Tokyo Route 246 (Tohachi Road). 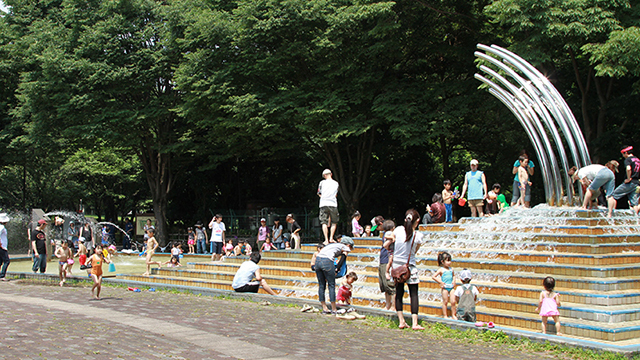 The north section of the park touches Kokubunji cliff line and includes Nogawa River with its rich natural environment; Nogawa River and Tokyo Route 246 mark both sides of an undulating grassy lawn; and the south section of the park contains another spacious grassy lawn as well as tennis courts, gateball courts, and a playground. Visitors can relax and freely immerse themselves in greenery at Nogawa Park. Built around a circular grassy lawn that is 500 meters in circumference, Musashi Kokubunji Park is a spacious and comfortable area with greenery and water, containing large trees such as cherry blossoms, Japanese zelkova, and ginkgo biloba from when it used to be the Chuo Railroad Academy, as well as a nicely placed balance of a waterfall, pond, and fountain. Running along the pond are wisteria and Chinese trumpet vine trellises running a total length of 33 meters with a 3-meter breadth. These flowers add color to the park during the flowering season. 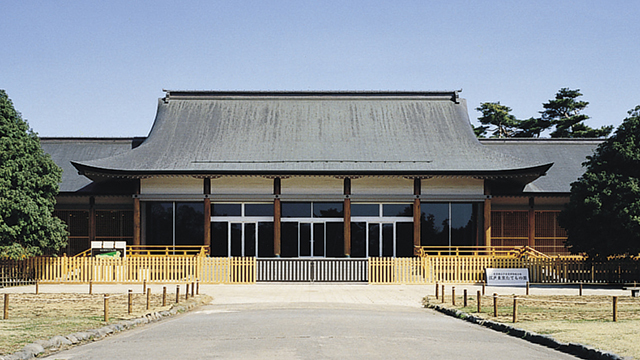 Halfway through the park is Kyu-Tama Seiseki Memorial Hall (managed by Tama City). 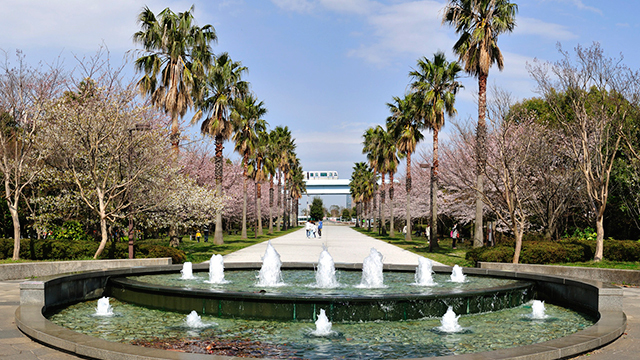 A park located along the Keihin-unga canal that offers a waterfront and rich greenery to enjoy. 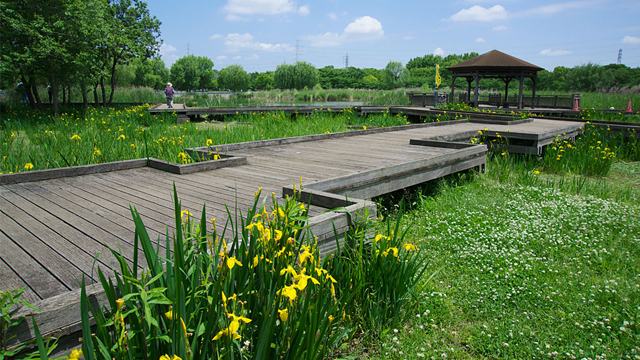 The park also contains a birdwatching hut and observation deck from which visitors can observe wild birds and go fishing. 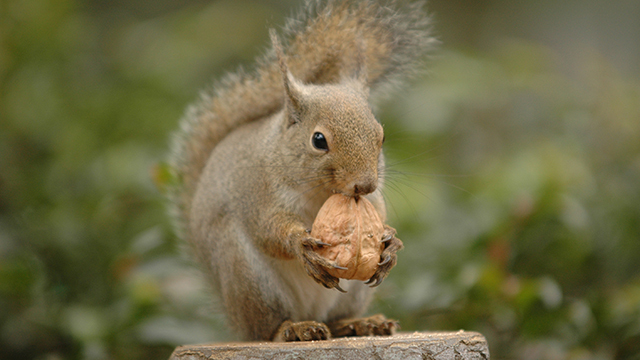 Nature observation meetings are held in spring and summer. 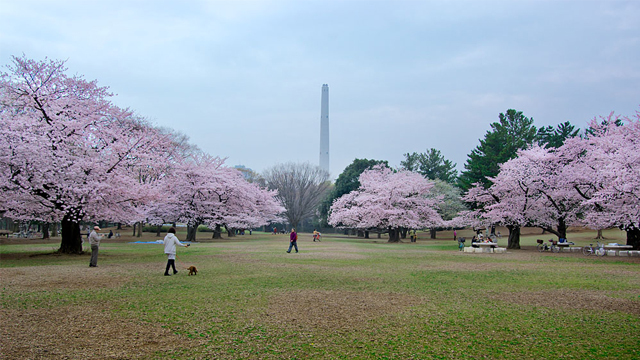 To the east of the park is the East Bank Sports Grove, which contains athletic facilities such as a certified type-3 track and field stadium, tennis courts, and a baseball field, as well as the Sakura Viewing Square for flower-viewing parties, and a dog park in which dogs can play. A park where visitors can enjoy eight types of safe and highly recreational so-called “new sports” such as shuffleboard and miniature golf. Anyone from children to adults can safely and easily make use of the park, which contains a dog park where visitors can play with their dogs and playground equipment that children love. Next door is Tatsumi-no-mori Ryokudo Green Path Park, which contains open grassy space and lushly green rows of trees, making it a famous locale for flower-viewing parties. In 1896, the Kyu Iwasaki-tei Gardens were originally constructed as the principal residence of Hisaya Iwasaki, who was the eldest son of Yataro Iwasaki and became the third president of Mitsubishi. The house was built while taking advantage of the various architectural styles of that time. Three buildings which include a Western style house, a billiards hall and a Japanese style house still remain. 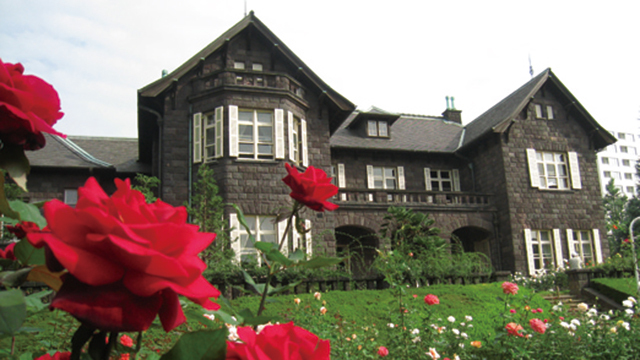 The Western styled house was designed by Josiah Conder, a British architect who worked on buildings such as Rokumeikan. The adjacent Japanese house is said to have been built by Kijuro Okawa, a master carpenter. There you can appreciate the elaborate Japanese-style construction techniques of that time, especially in the main hall. They have been designated as Important Cultural Properties by the Law fo Protection of Cultural Properties. Kyu Shiba-rikyu Gardens once belonged to one of Tokyo's most famous feudal lords, and have remained in place since the early Edo period. It was a typical Japanese garden with a pond surrounded by a path, and the placement of the boundaries and rocks is superb. 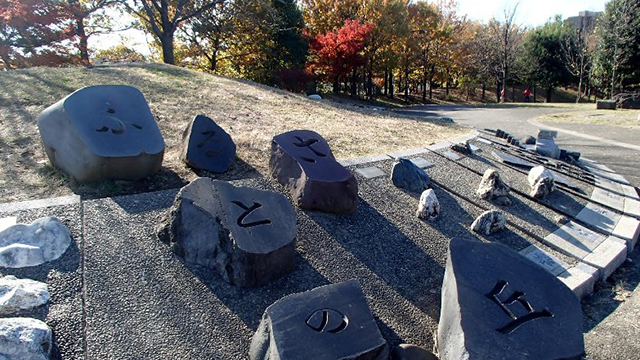 Many Nebuka stones were transported from Odawara, which was once part of the Okubo clan's land holdings, and used in some of the stone works and stepping stones found around the pond. Mt.Fuji's lava stones were used in the walls of the pond. They have been designated as national places of scenic beauty by the Law for Protection of Cultural Properties. Kyu Furukawa Gardens are valuable in that they are made up of a Japanese garden and a Western-style garden which have harmoniously retained their original forms as they were in the early Taisho period. The Western-style house and Western-style gardens were designed by Josiah Conder, a British architect who worked on projects such as Rokumeikan. 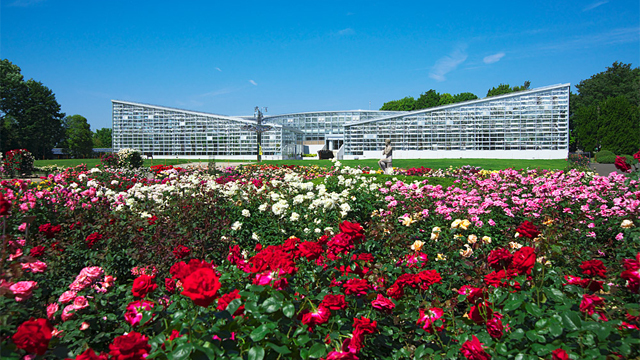 90 species of roses with 180 shares colorfully bloom in spring and autumn. 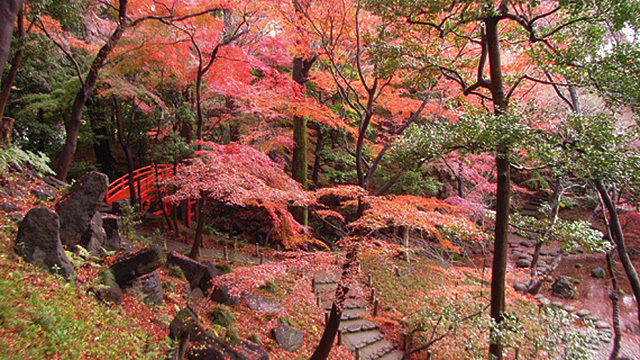 The Japanese gardens were created by Jihei Ogawa. Centering around a Shinji-ike pond, a dry fall, a large fall and an island were arranged. They have been designated as special national places of scenic beauty by the Law for Protection of Cultural Properties. Yataro Iwasaki, a founder of Mitsubishi, purchased the ruined mansion of a feudal lord in 1878, and built a place with gardens for his employees to relax, and also to accommodate VIPs. There's a large pond and a small mountain called Mt. Fuji in the gardens, and beautiful stones that Iwasaki families purchased from all over Japan are arranged throughout. These gardens are one of the most famous gardens that were built in the Meiji period, and consist of a dry Japanese landscape garden with a pond surrounded by a path. 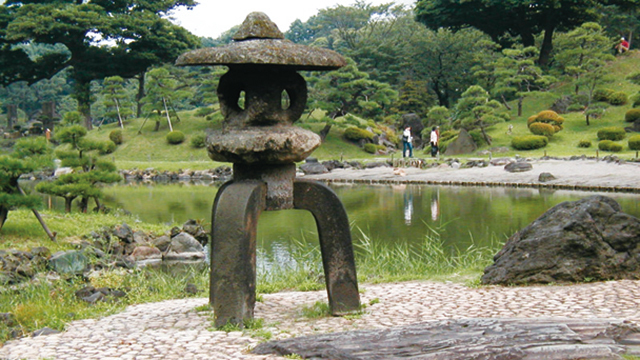 In 1924, the garden as we currently know it was donated to Tokyo City by the Iwasaki family. 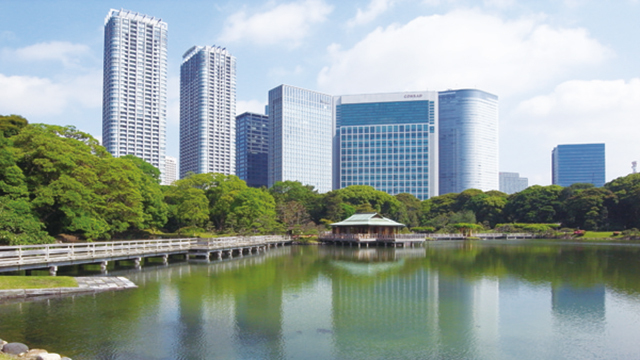 In 1979, the garden was designated as a place of scenic beauty by Tokyo Metropolitan Government. Koishikawa Korakuen Gardens were once the property of one of the most famous feudal lords in Japan, and they were built in the early Edo period. As a garden for one of his homes, construction on these gardens was started in 1629 by Yorifusa, the founder of the Mito Tokugawa family. They were completed during the lifetime of Mitsukuni, the second Mito Tokugawa feudal lord. Mitsukuni referred to the opinions of Ming China Confucian Shu Shunsui when constructing the gardens. Landscapes with Chinese names were arranged. The gardens that have a pond surrounded by a path are representative of a Chinese style atmosphere. Several beautiful landscapes, including a lake, mountains, rivers and the countryside were skilfully represented and reflected in these gardens. They have been designated as special national places of scenic beauty and historic sites by the Law for Cultural Properties. These gardens with paths around wooded areas and a pond were built by making artistic use of the natural landforms of the old Musashino region, which featured valleys made from stepped hills. The bright lawns on the cliff contrast with the spring water pond under the cliff. Excellent landscaping techniques, including the arrangement of trees, enabled this contrast. These gardens were developed at the site of a villa of Sadae Eguchi, who later became the Vice President of the Manchuria Railway in the early Taisho period. 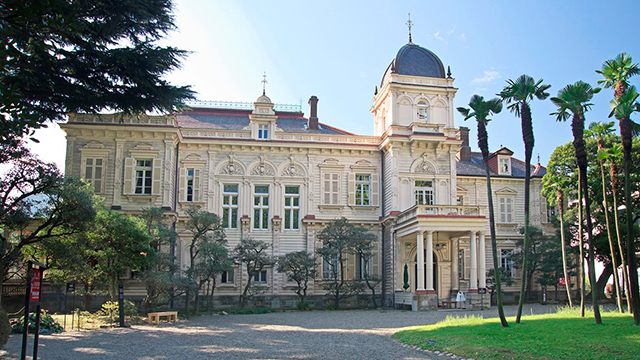 In 1929, the site became a villa of the Iwasaki family, the founder of Mitsubishi zaibatsu, and subsequently it was purchased by the Tokyo Metropolitan Government. They have been designated as national places of scenic beauty by the Law for Protection of Cultural Properties. Hama-rikyu Gardens have a connection with the Tokugawa Shogunate, who ruled Japan during its Edo period. The gardens are characterized by a tidal pond and two duck hunting grounds. Originally, they were hawk hunting grounds, and then became a villa for the Shogun. After the Meiji Restoration, they became a detached palace for the Imperial household. They have been designated as special national places of scenic beauty and special historic sites by the Law for Protection of Cultural Properties. The tidal pond which imports seawater was built to enjoy the scenery that varies in accordance with the ebb and flow of the tide. This is the only Edo garden currently remain in the metropolitan area. Mukojima-Hyakkaen Gardens were built in the Bunka-Bunsei period (the early 19th century), when Edo's urban culture was at its peak. With the help of his friends from his literary groups, Kikuu Sahara was able to develop and open a privately-operated flower garden in Mukojima, focused on ornamental flowers and plants. Hyakkaen means "a garden in which hundreds of flowers bloom throughout the year". There are also spring and autumn herbs, and people enjoy looking at the plants and flowers blooming in the fields. They have been designated as national places of scenic beauty and historic sites by the Law for Protection of Cultural Properties. 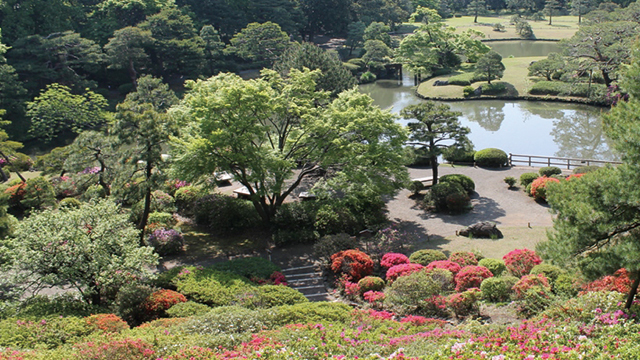 Rikugien Gardens were constructed by Yoshiyasu Yanagisawa, an advisor to the fifth Tokugawa Shogun, Tsunayoshi, in 1702. 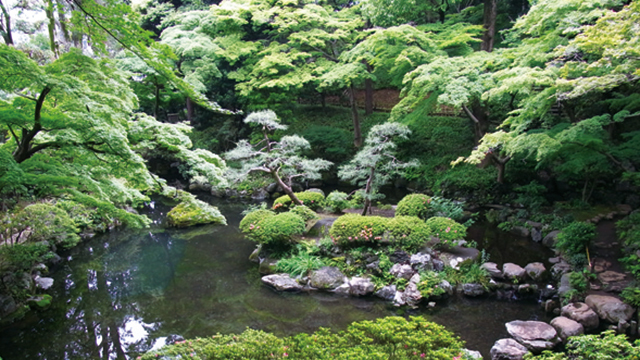 Yoshiyasu's ideas and deep knowledge on literature, including waka poetry, were expressed everywhere in these gardens. These gardens have a delicate and gentle atmosphere and are considered one of the best gardens that represent the Edo period. They have been designated as special national places of scenic beauty by the Law for Protection of Cultural Properties. Ueno Zoological Gardens opened in 1882, as Japan's first zoo. The park is divided into an East Garden and a West Garden, and they are connected by a monorail. 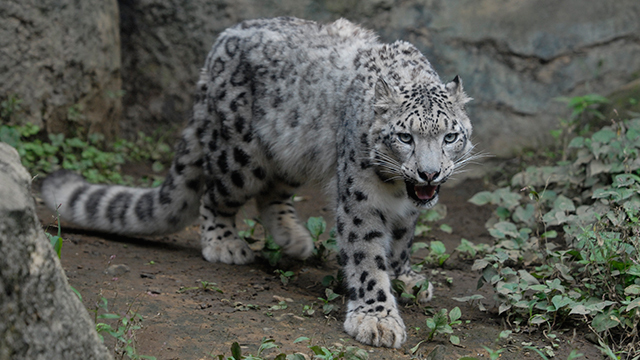 As a typical Japanese comprehensive zoo, it attempts to present real animals' lives and behaviors. 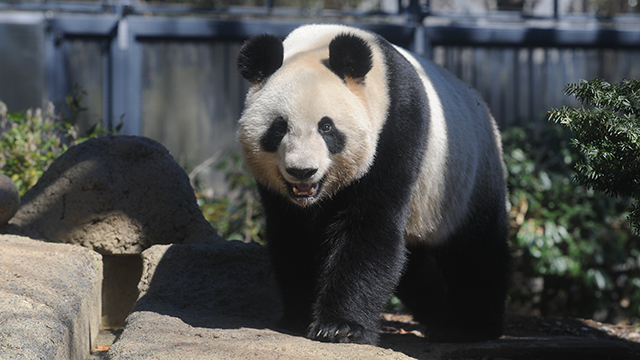 You can see about 400 species of interesting animals that include the very popular giant pandas, gorillas and Asian elephants in the East Garden; shoebills, a type of bird that doesn't move, and marvelous kinds of monkeys, including aye-ayes, in the West Garden. Tama Zoological Park is a zoo that skillfully makes use of vast hills and forests over a 50-hectare area. The park has an African Habitat which shows groups of giraffes, chimpanzees and lions, an Australian Habitat which shows unique animals such as koalas and kangaroos, and an Asian Habitat which shows orangutans living in places of high altitudes, rare snow leopards and golden takins. Relax and enjoy watching the animals in harmony with the nature distinctive in the four seasons. The large glass dome of Tokyo Sea Life Park will catch your eye as sits on the roof overlooking Tokyo Bay. 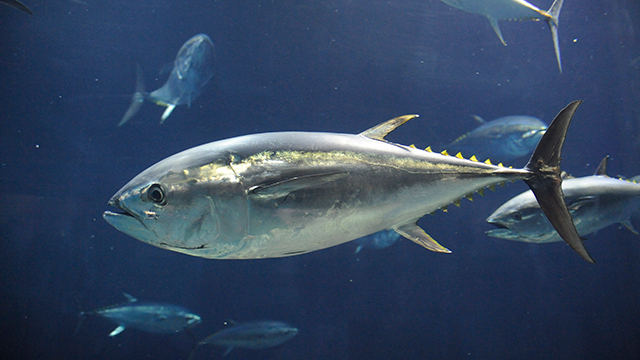 In the Deep Sea Theater, a large water tank, you can see tunas, the voyagers of the sea, swimming together in a group. In the Sea of Tokyo area, there are creatures ranging from the Izu Islands to Tokyo Bay. In the Seas of the World area, there are creatures living in a variety of environments from all over the world, from the Arctic to the Antarctic sea, and from the deep seas as well. The penguin exhibition is one of Japan's largest and most superb exhibitions. Also in the park are an aquarium containing Aquatic Life and Sculpture Museum House displaying works by Seibo Kitamura, who is famous for creating the Peace Statue in Nagasaki Peace Park. Enjoy a slow stroll through the park and see the sights. Mount Takao has an elevation of 599.15 meters. Yakuoin Yukiji Temple has served as a central place for worship for a long time. Currently, parts of the Tokyo Metropolitan Natural Park and Mt. Takao are designated as the Meiji no Mori Takao Quasi-National Park by the Ministry of the Environment. 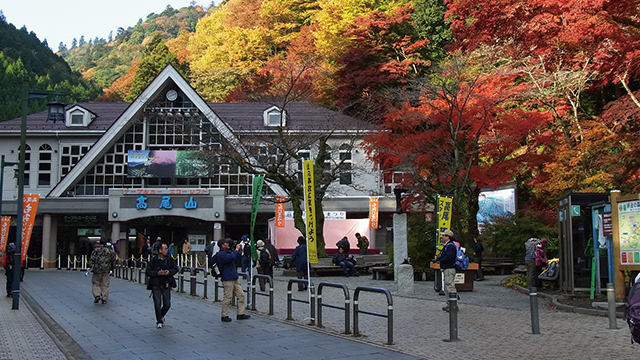 In addition to providing guidance and attraction information on the mountain trails, the Visitor Center also offers information, including the nature of, history of, and the relationship between humans and nature of Takao, through the use of exhibitions and commentaries. Mount Mitake has an elevation of 929 meters. It has been a place of worship for a long time. Musashi Mitake-jinja Shrine is enshrined in the vicinity of the summit, and surrounding the shrine are thatched-roof temple lodgings with long histories. In addition to providing guidance and attraction information on the mountain trails, the Visitor Center also helps visitors to enjoy nature and culture through recreation with the addition of educational aspects. 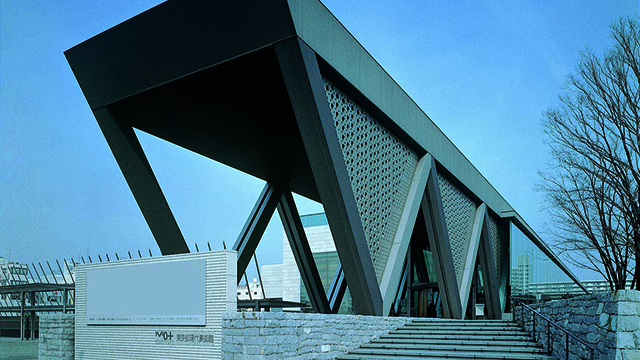 Edo-Tokyo Museum offers the chance to learn about Edo and Tokyo's history, culture and people's lives. A variety of restored models and rich materials, including life-size models of Nihombashi Bridge and a drama theater, ukiyoe paintings, kimono, and daily household items, are displayed and provide some fun insight into the history of Edo. A special exhibition with a theme related to the history and culture of Edo and Tokyo is held around five times a year in the special exhibition room. This open-air museum was opened on March 28th, 1993. The museum is located in Koganei Park and covers an area of about 7 hectares. 30 restored buildings from the Edo period to the early Showa period are lined up in the park. This museum contains historical buildings with great cultural value that were relocated, preserved, and displayed here because they could not be preserved in their original locations. The goal of this museum is to pass this important cultural heritage on to future generations. 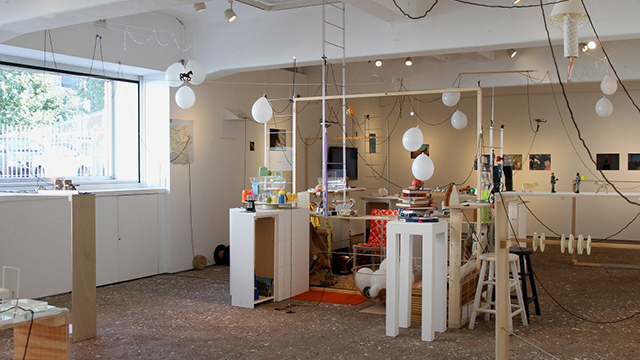 Tokyo Wonder Site Hongo is an art center that supports creating new art and culture and disseminating them from Tokyo. The center is involved in the discovery, training and support of young artists. Based in 3 museums, the center also supports artists from a variety of artistic backgrounds, and offers places for exhibitions, residency programs and education which are aimed for international cultural exchange. Since its opening in 2001, TWS Hongo has been a base for diverse activities focusing on the support and training programs of young artists. Tokyo Metropolitan Art Museum opened in 1926 in Ueno Park as the first Tokyo Prefectural Art Museum. In addition to presenting nearly 300 exhibitions each year, the museum holds special exhibitions where visitors can enjoy renowned works from Japan and abroad. It also hosts various art communication programs and explores new possibilities, serving as a place for cultural exchange. The museum hopes to become a "cornerstone in which visitors can enhance their cultural awareness and wisdom" and in which the art "enpowers visitors" as a place that can serve as an entrance to the arts and where everyone can visit casually. Tokyo Bunka Kaikan(Tokyo Metropolitan Festival Hall) was built as part of the project to celebrate the 500th anniversary of the birth of Tokyo, in which the hall would fulfill the need for a "full-fledged music hall, in which opera and ballet can be performed in the capital Tokyo". It was opened in April 1961. 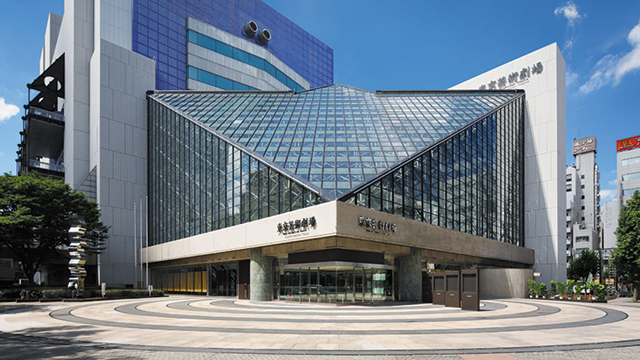 The building is also famous for its typical modernist architecture designed by Kunio Maekawa. The hall consists of a main hall for opera, ballet and orchestra performances, and a recital hall, which is used for indoor music, recitals, etc. 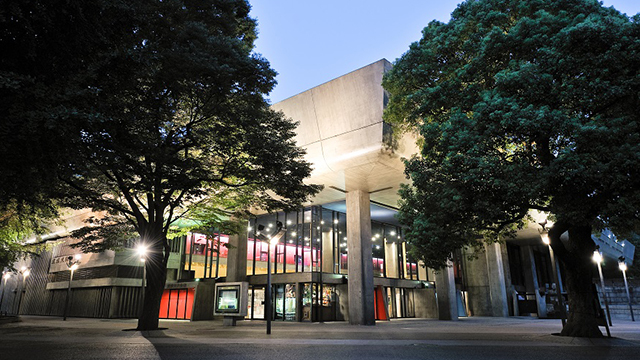 Tokyo Metropolitan Theatre was opened in October 1990 as a facility for citizens to promote art and culture, including music, theater, opera, and dance, and also to facilitate the international exchange of these types of performances. 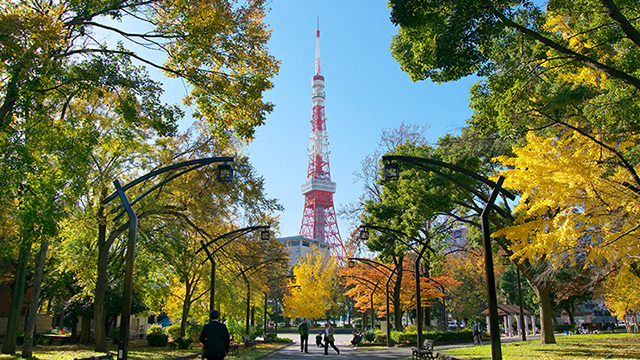 Right in front of your eyes is the artistic Ikebukuro Nishiguchi Park, with its vast areas of greenery and many sculptures. One of the world's largest pipe organs can be seen in all of its magnificence. 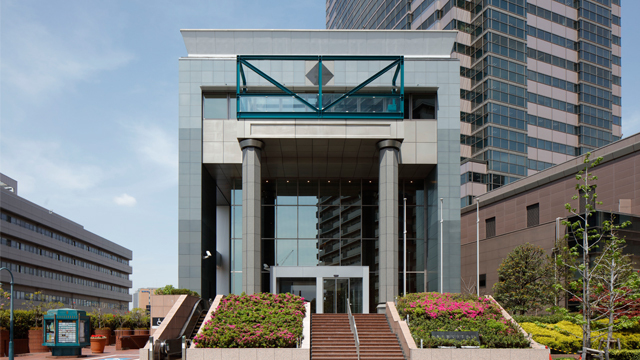 The Tokyo Photographic Art Museum (TOP Museum) was founded in Ebisu in 1995 as Japan’s first comprehensive museum devoted to photography and moving images. 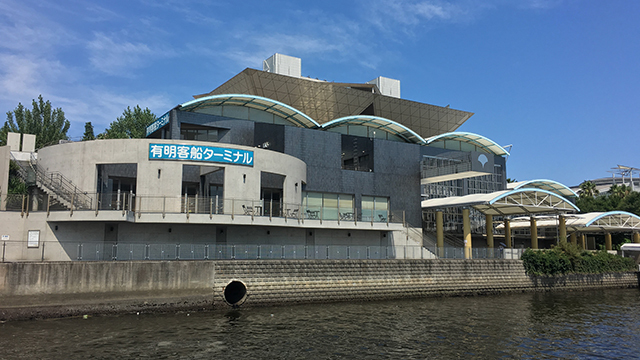 The museum's three exhibition halls, reopened in September 2016 after large-scale renovations, host over twenty exhibitions a year, including everything from individual exhibitions focused on famous Japanese and foreign artists to the Yebisu International Festival for Art & Alternative Visions, an art and film festival. Films of the highest quality are screened in the hall on the first floor. Visitors are free to enjoy the museum's photography and moving images in a variety of ways, with facilities including art production workshops, a free-to-use specialized library, a café, and a museum shop. 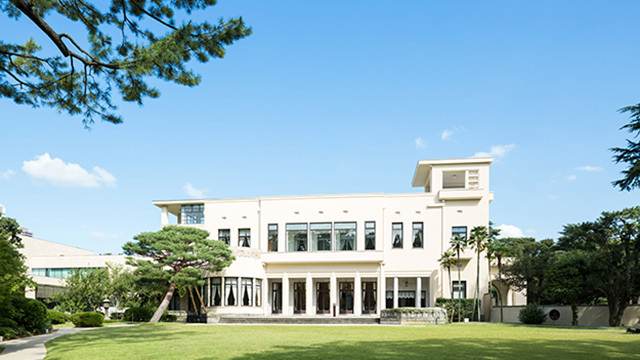 With its exhibitions that make use of the Art Deco-style Asakanomiya House building built in 1933 and its surrounding space, this unique art museum in harmony with its lush green garden has been beloved by many since its opening in 1983. A new facility with a White Cube gallery was completed in 2014, adding a new creative space to over 80 years of history and tradition. 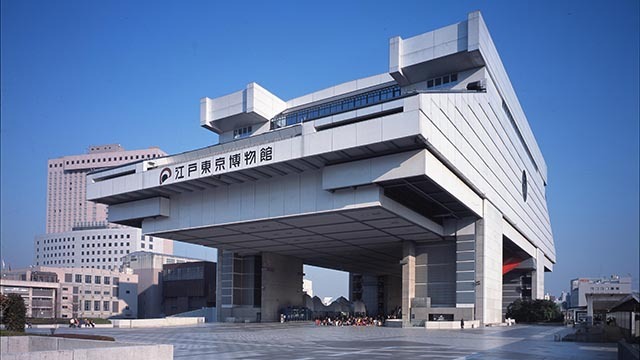 The Museum of Contemporary Art Tokyo opened in March 1995 with the aim of promoting contemporary art and enriching the foundation of art culture. Utilizing about 5,200 pieces of work, it holds a wide range of exhibitions related to contemporary art such as collection exhibitions and large-scale international exhibitions. In addition, it has an art library with approximately 100,000 art-related books and provides information on art. 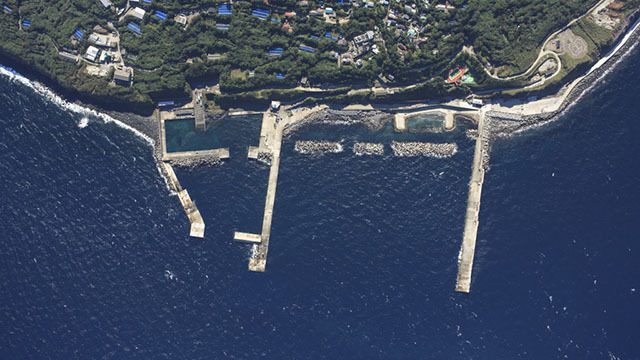 Shikinejima Island is an island with a population of about 600. You can enjoy the natural hot springs while looking at the sea, allowing you to view the transparent blue sea water and its seabed, and the white sand beach that stretches as far as the eye can see. You can also enjoy activities, including fishing, cycling and camping. You can spend the day relaxing in comfort on this idyllic and somewhat nostalgic island. 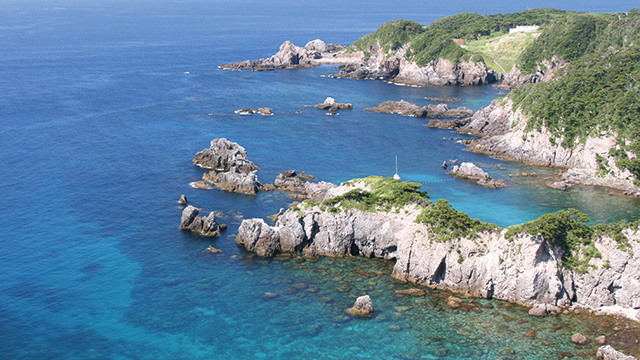 Hachijojima Island is in the south part of the Izu islands, located 287 kilometers from Tokyo. It's a natural paradise where various plants flourish and a lot of wild birds visit throughout the year. You can enjoy various activities in your favorite ways, which include onsen, gourmet food, diving, fishing, trekking and visiting power spots. 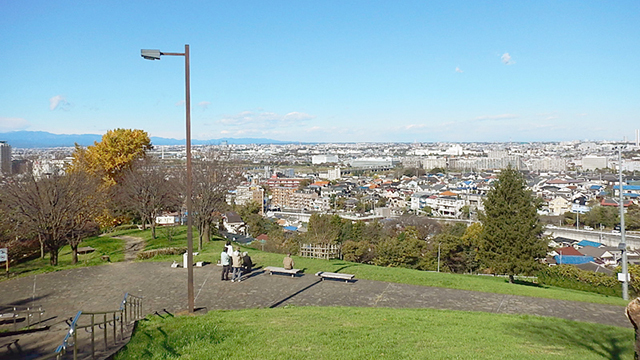 From the roof of the waiting room building you can see the beautiful scenery of Hachijojima in a 360-degree panorama. 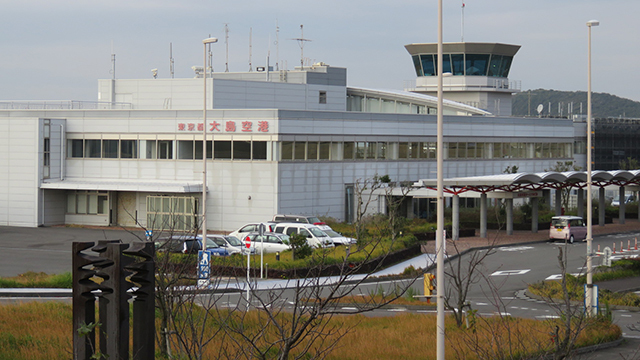 Chofu Airport is run by Tokyo Metropolitan Government. 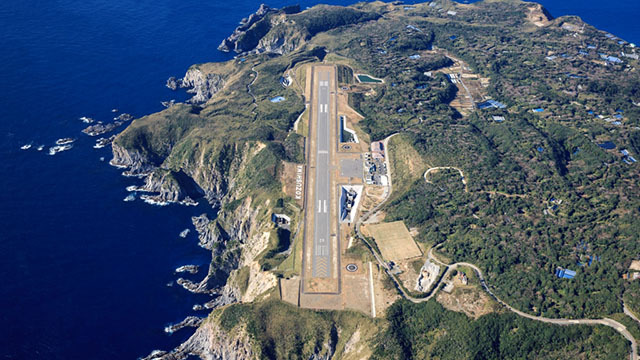 The airport connects the mainland with Oshima, Niijima, Kozushima and Miyakejima islands, by air. 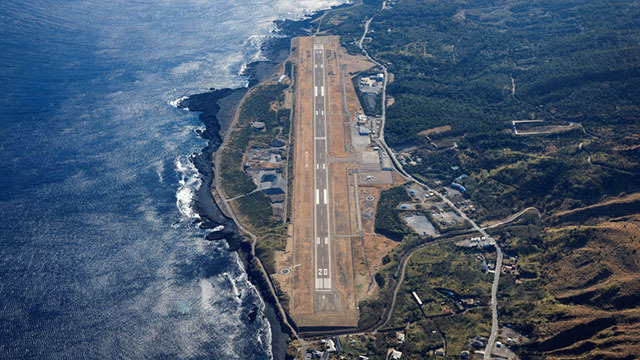 Izu Oshima Island is located in the Pacific ocean,120km from Tokyo, and is the largest island in the Izu Islands. If you climb up Mt. Mihara (altitude 758m), which is called Gojinka and cherished by the islanders, you can see a superb view from the vicinity of the crater which is 300 meters in diameter and more than 200 meters deep. 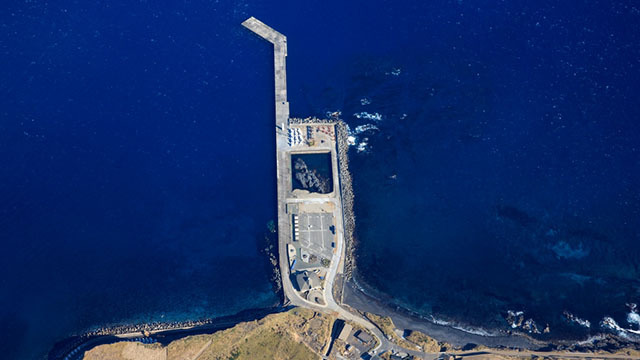 On the island, there are facilities, including onsens, a municipal ranch, a government-run park, a local museum, and a volcano museum. You can enjoy activities, including marine sports, fishing, cycling, and also local entertainment such as camellia flower dyeing. 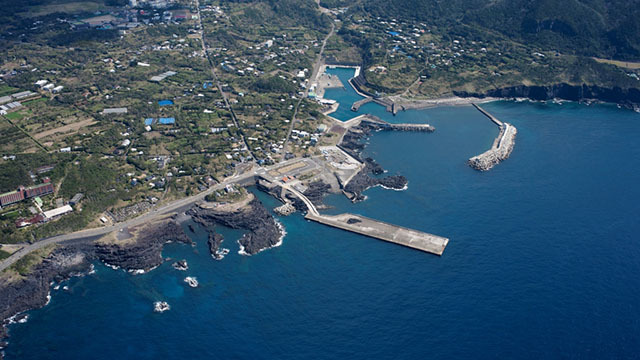 Oshima island is located 120km from Tokyo, in the Pacific Ocean, and is the largest island in the Izu islands. Mt. Mihara (altitude 758m) is a central cone settled in the caldera at the summit, and is seen as a deified volcano by the islanders. Camellias, which are used for oil and high-grade carbon material, and “anko” costumes that set the island's cultural atmosphere, have been symbols of Oshima island for a long time. Toshima Village is an island located 2 hours and 45 minutes by high speed boat from Takeshiba Port in Tokyo. Their main industry is camellia oil, and they have the highest production volume in Japan. 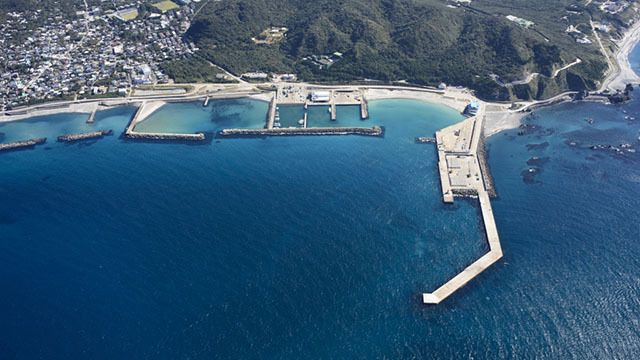 The Ise-Ebi (Japanese spiny lobster) and large sazae are also marine products representative of Toshima island. In recent years, dolphins have started living around the island, and the “dolphin swim,” where you can swim alongside them has become popular. When the sun goes down, the skies of Toshima island turn into a natural planetarium. 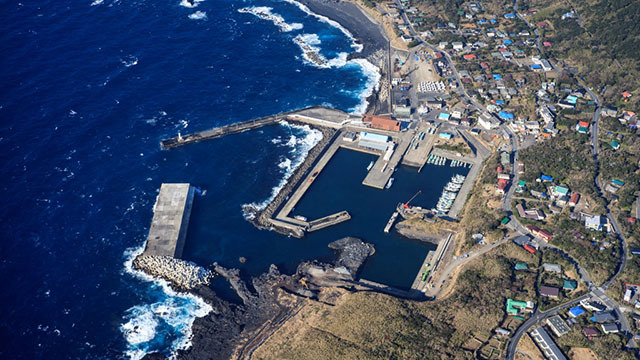 Located about 3 and a half hours from JR Hamamatsu-Cho Station by jetboat, Kozushima island is an island at the westernmost point of the Izu Islands. It is an island popular for its beautiful deserts and ponds at the mystical summits of Mount Tenjo, and marine activities in the sparkling, deep green ocean. In the village, you will be able to see the traditional Japanese way of life and observe people as they work. 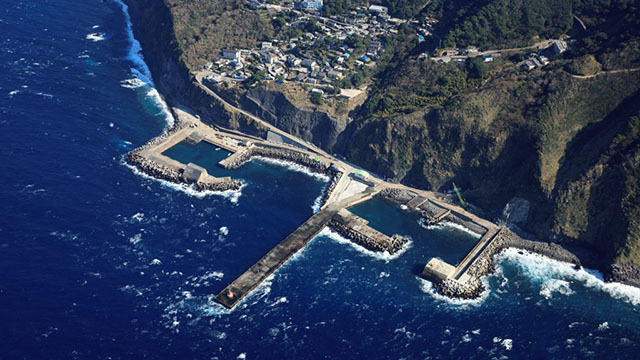 Miyakejima island is located about 180km south of Tokyo. 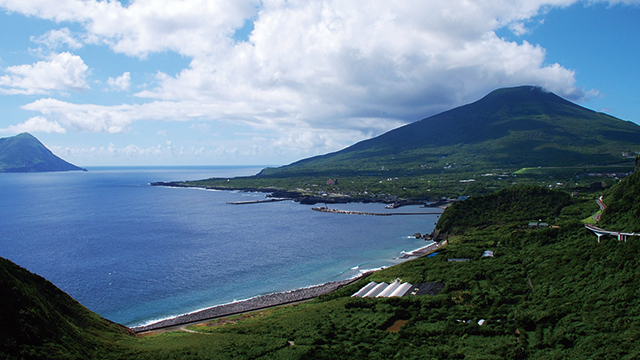 The island has an annual average temperature of 17.7℃, only about 12 summer days per year that exceed 30℃, and barely any days when the lowest temperature falls below 0℃. It is a livable island with a mild climate throughout the year. In the 2000 eruption, Haccho-bira, the old crater that was at the Mt. Oyama summit collapsed, and a new caldera about 450m deep was created. The majestic volcanic island scenery that can be seen from all over the island makes it feel like a natural volcanic museum. 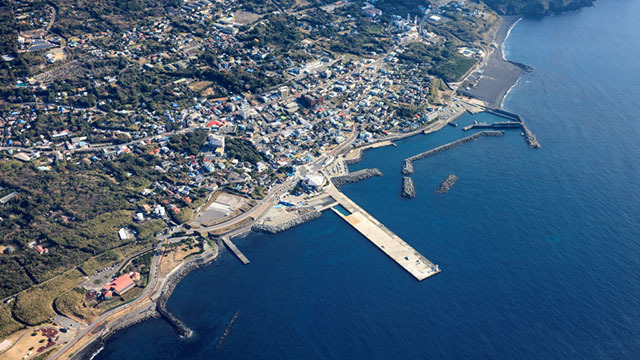 Please come and visit Miyakejima island where you can feel the gentle touch of Earth. A place where you can make your wish of swimming with dolphins come true. If you can’t swim or are a bit scared but still want to swim with dolphins, you can view them while using a float, or of course, from a boat or the shore. 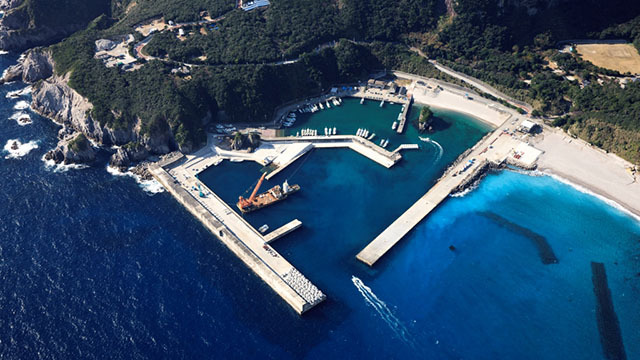 To protect the natural environment of Mikurashima island that houses dolphins and other valuable animals and plants, Tokyo has started allowing ecotourism on the island. As day trips and camping are not allowed at Mikurashima island, it is necessary to make reservations before entering the island. This small island has a lot of charm tightly packed into it. 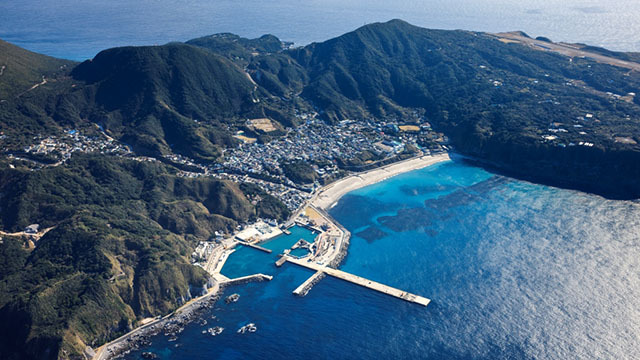 Hachijojima island is situated 287km from Tokyo and is considered the tropical island of the Izu Islands. It is a natural paradise where a diverse range of plants grow throughout the year, also visited by many wild birds. The island has a lot to offer, including hot springs, gourmet food, diving, fishing, trekking, and spiritual locations. The roadside palmtrees and bright red hibiscus flowers that bloom from May to October heighten the tropical island atmosphere. 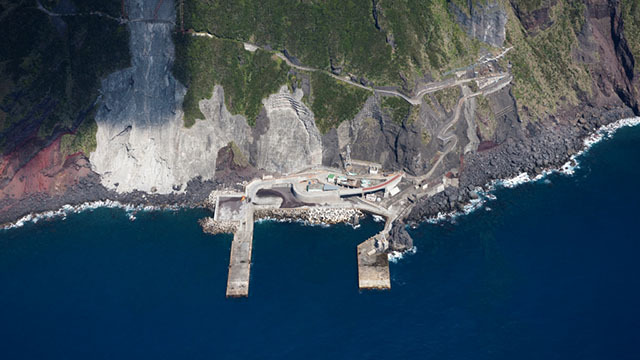 Located 358km south of Tokyo, it is a remote island far off in the sea with a coastline of 9km. With one of the few double volcanoes in the world, flowers blooming every season, and fumaroles that are called “Hingya” in the island dialect, you can witness the great forces of nature here. Ariake Passenger Ship Terminal was opened in April 1996 as a base for a transport system connecting Hinode Pier with the Tokyo Water Front City via sea bus. Located next to Tokyo Big Sight, the terminal handles transport between the Ariake area and downtown Tokyo. 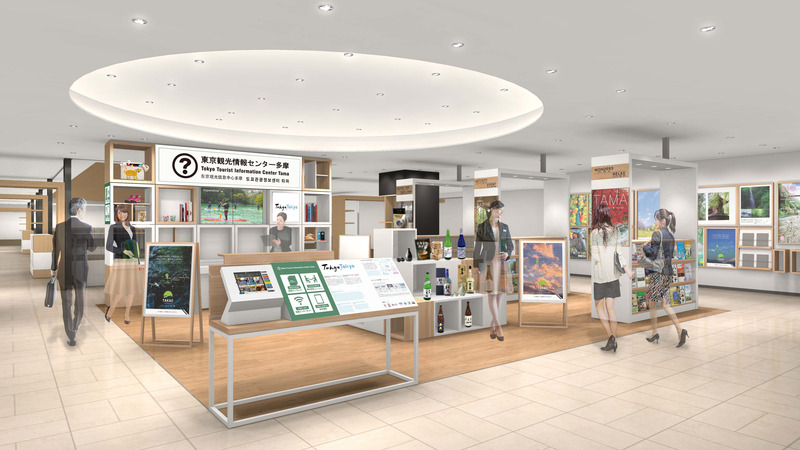 The terminal helps support access to Tokyo Big Sight during exhibitions and conferences. The Tokyo Metropolitan Government is promoting to increase of the number of Wi-Fi spots around Tourist Infomation Map and Sign. Look for "TOKYO FREE Wi-Fi" area signs located in town and make your stay in Tokyo more convenient and more comfortable! 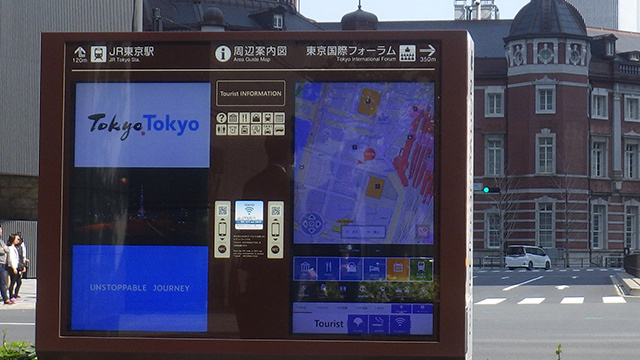 The digital signage of "DISCOVER & TOKYO" will provide you useful information that makes your trip enjoyable and easier! 〇 Tourist information in multiple languages- You can conveniently search for information in Japanese, English, Chinese and Korean! 〇 Quick Search for travelers- You can quickly get useful information, such as tourist spots around the local area and transit information! 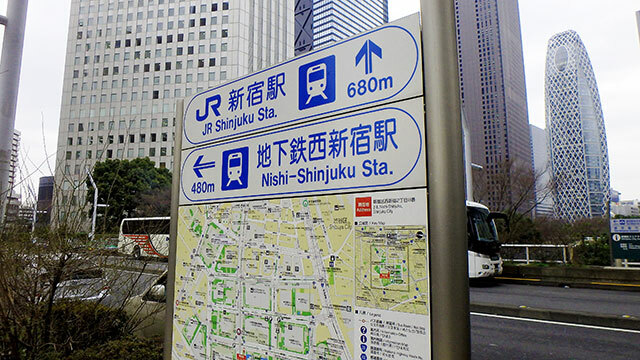 〇 Direct you to your destination-You'll find walking routes as well as recommended barrier-free routes on this signage. 〇 Useful information for travelers- It offers information for case of trouble or emergency during your travel! 〇 The information from "DISCOVER & TOKYO" can also be displayed on your smartphone! 〇 You can connect to "TOKYO FREE Wi-Fi"! 〇 In the event of a disaster- it will provide critical information such as locations of evacuation centers. 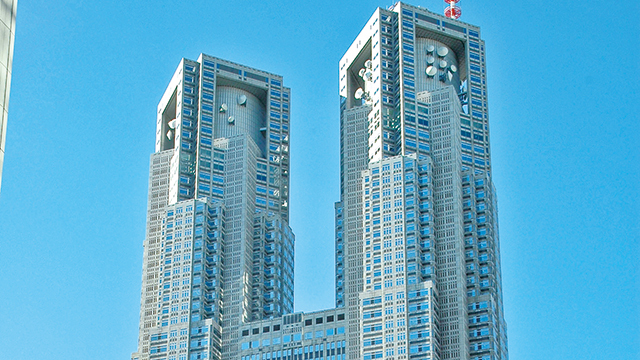 The Tokyo Metropolitan Government is promoting to increase of the number of Wi-Fi spots around Public phone. 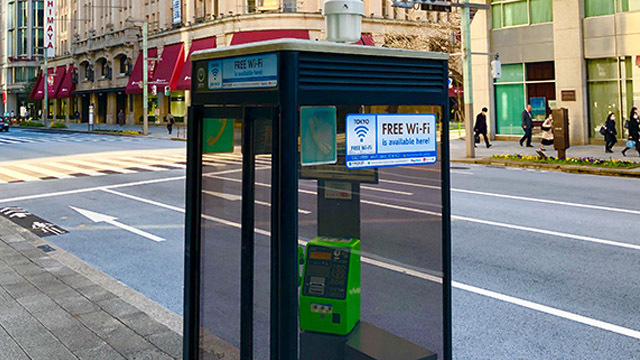 Look for "TOKYO FREE Wi-Fi" area signs located in town and make your stay in Tokyo more convenient and more comfortable! Concierges provide both tourist information and materials about Tokyo and various locations throughout Japan in Japanese, English, Chinese and Korean. Tourism image movies of Tokyo are displayed on the large screen behind the concierge counter. We also offer various services, including travel and ticket booking, currency exchange, baggage delivery and temporary luggage storage. 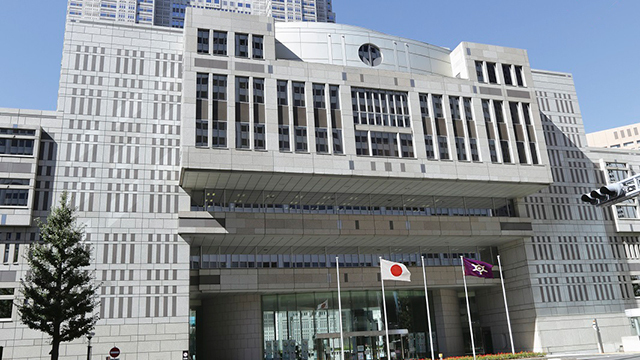 Tourist Information Centers are also open at the Tokyo Metropolitan Government Building, Keisei Ueno Station and Haneda Airport's International Terminal. Please visit these centers and make your trip enjoyable! Located in verdant Arisugawa-no-miya Memorial Park, the main library complex holds approximately 2 million books, more than any other public library in Japan. From precious ukiyo-e art work of the Edo period to Japanese and foreign books, newspapers, magazines, statistics, and almanacs, Tokyo Metropolitan Central Library contains a wide variety of materials to serve its users' many varied needs. 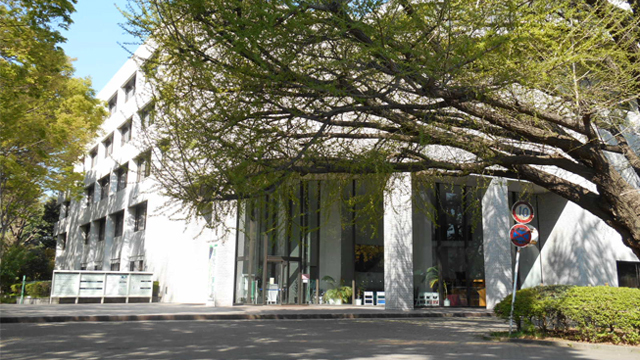 Tokyo Metropolitan Tama Library is located next to the green and gorgeous Musashikokubunji Park. Japanese public libraries have introduced the "Tokyo Magazine Bank", the first magazine-centric service of its kind in Japan that contains approximately 17,000 magazines. The library also offers a "Service Providing Materials for Children and Adolescents," which promotes book-reading among Tokyo children with its collection of around 220,000 children's books, research materials on children's reading, and similar items. 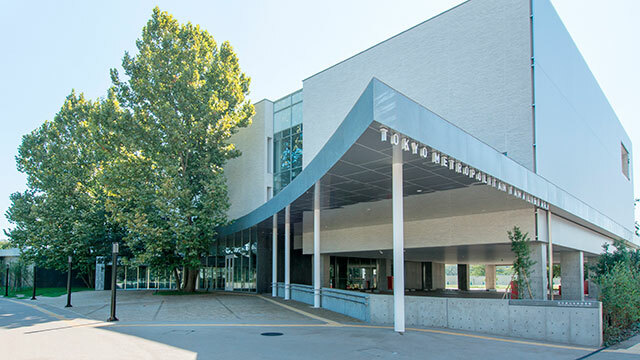 With these two services as core pillars, the Tokyo Metropolitan Library works to support Tokyo citizens in their research and problem-solving, in addition to providing support services for municipal libraries and schools. Multilingual staff provide sightseeing information primarily about the Tama region in Japanese, English, Chinese, and Korean. Centers also periodically showcase themed displays of special products distinctive to the Tama region and otherwise work to communicate Tama’s beauty. 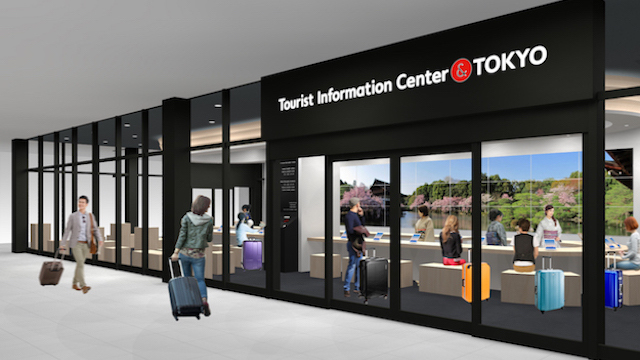 Tokyo Tourist Information Centers have also been established in the Tokyo Metropolitan Government Building, Keisei Ueno Station, Haneda Airport International Terminal, and the Shinjuku Expressway Bus Terminal. Please visit! 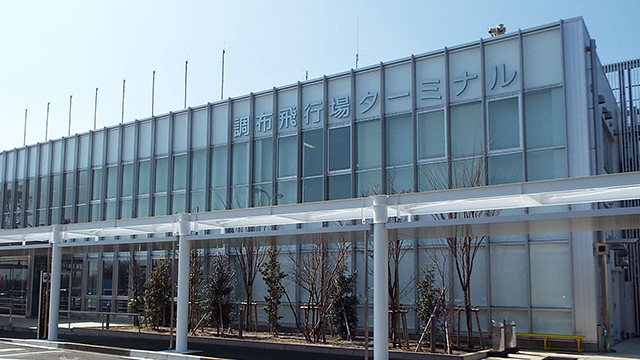 Toyosu Market is a metropolitan central wholesale market that opened on October 11, 2018 due to the relocation of Tsukiji Market. 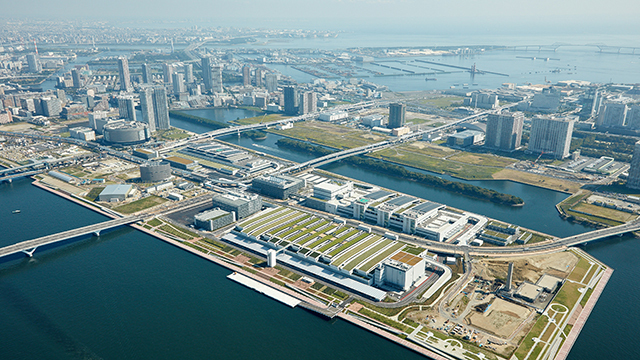 In addition to new functions such as ensuring food safety and security, efficient logistics, and environmental measures, it also meets various needs of the production areas, customers and consumers, and aims to be an attractive market that helps to enliven and bring people to the Toyosu area.